To get your ARDR tokens, it is recommended that you keep your NXT balance in your own account. For balances on exchange accounts, it will be up to each exchange to handle the re-distribution of the ARDR tokens that will get automatically sent to the exchange account at snapshot end. The 3 major exchanges for NXT; Poloniex, BTC38, and Bittrex will all run internal snapshots of their customers' NXT balances synchronized with the main blockchain. The Ardor tokens will then be distributed to their rightful owners at a ratio of 1 Ardor token for 1 NXT. The exchanges are prepared for new customers outside the Fintech and investment world looking to purchase Nxt tokens for future Ardor tokens with the introduction of fiat currency exchange. Retail customers will now be able to access the Ardor platform and purchase tokens using fiat currency. This is the first stable release in the 1.9 series. Update to this release on mainnet is optional up until block 1000000 (Oct 12), however users are advised to do it earlier, as after July 14th updating will trigger a blockchain rescan. The main new feature in 1.9 is the distribution of ARDR assets. See the 1.9.0e changelog for details. Performance optimizations for blockchain rescans and for snapshot balance calculations. Added nxt.dbMaxMemoryRows property to allow setting the H2 MAX_MEMORY_ROWS parameter. Updated Jetty to version 9.3.10, delete the old lib folder before unpacking on top. NRS is a locally hosted client server application. By default it downloads the Nxt blockchain, but from version 1.10.0e you can run it as a light client as well as a full node. 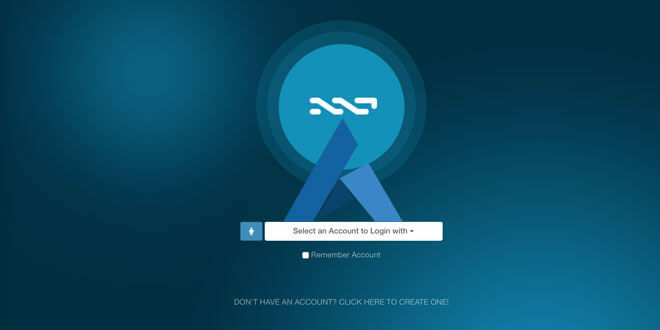 To forge and earn forging fees from processing transactions on the network you must run the Nxt Client in full mode, which is possible even on small devices like laptops, or on a Raspberry Pi. There are also bounties for running public nodes. The Nxt Client is easy to install. Use the 1-click installers for Linux, Mac and Windows or read this INSTALLATION GUIDE to launch the NRS .zip from terminal.